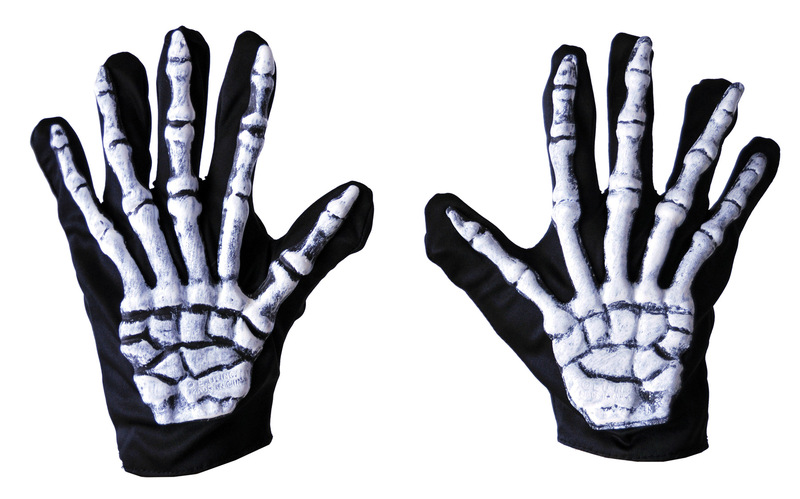 Black cloth gloves with skeletal latex detailing attached Cool latex skeleton detailing on upper hand and wrist attached to black gloves for ease of movement. These do not glow. Horrific look! One size fits most adults.